Last year, my predictions centered around the downfall of F2P games and the rising population of Buy-to-Play games. This year, my predictions are still along the same line. I feel we’ll continue to see most developers leave behind the free-to-play model and begin embracing buy-to-play with cosmetic and convenience cash shops. Age of Wushu will probably end up being shut down this year, and I have mixed feelings about it. 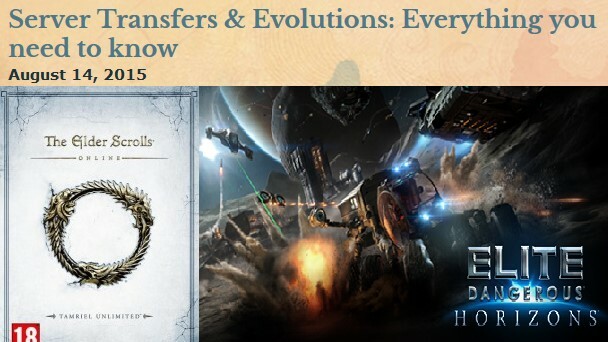 And to finish up, I talk about my hopes for the future of MMO tie-ins and spin-off projects. Without further delay, here are my predictions for 2016. To start us off, I’ll comment on what I got right with last year’s predictions. As most of us are aware, ESO did in fact go buy-to-play with their release of Tamriel Unlimited. 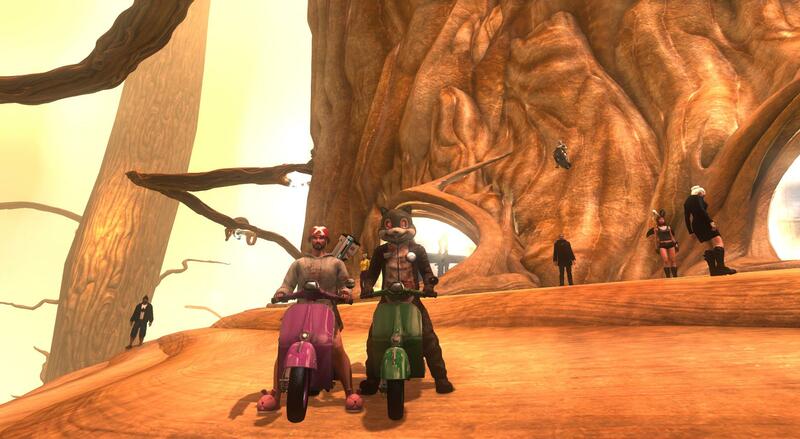 Trion finally relented to reality and began merging servers in 2015, too. Arenanet ditched NCSoft and dropped their buy to play model for a free to play, though many players will argue its more of a trial version considering how much you’re missing out on without opening your wallet. Sandboxes are steadily getting their act together on a bumpy road continue to be on the rise, with Elite: Dangerous getting its first major expansion that added the ability to land on and explore planets, though our staff was less than impressed by the overall presentation. The Repopulation was continuing at a steady pace, until an issue with their engine provider brought development to a grinding halt this month. Most sandbox enthusiasts are putting their hope (and clearly money) towards Star Citizen, as bits and pieces of the larger picture are starting to form out in alpha testing. Though one can’t count out the massive hype being generated by sandbox RvR MMORPG, Camelot Unchained, as the game edges ever closer to beta testing. All-in-all, I feel that 2015 was a great year for MMO development, if not necessarily for launches. 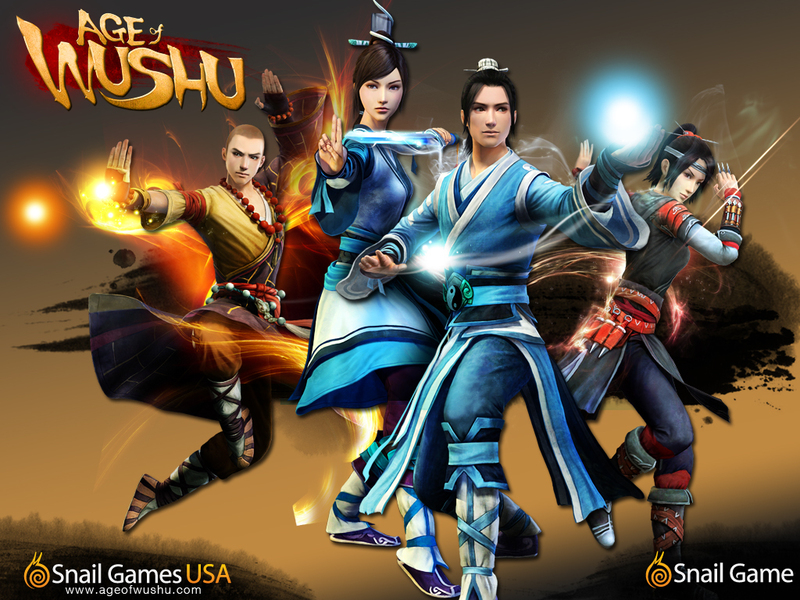 I’m going to start my predictions for 2016 by bringing up one of my old flames: Age of Wushu. This was MY game back in the day. I loved it. I invested a hefty amount of money into it, and that was before it went completely free-to-play… I just loved the game and wanted to support it. I built my guild, Amitabha, within that forge, and it’s still going strong (if small and tight-knit) several years later. However, if you know me or have ever read my articles and threads on the topic, you know I have a love-hate (mostly hate by now) relationship with SnailUSA. They squandered their chances at the NA market by giving up on the game and focusing all their efforts to pandering towards the very few whales present in their community. Nowadays, in Age of Wushu NA you’ll find mostly dead servers with perhaps a couple of hundred active players each. That’s compared to the thousands that played before the game was ruined by hacker-bots, gold spammers, and horrible choices by SnailUSA that killed major portions of the community overnight. So, my first prediction of 2016 is that Age of Wushu NA will be shut down. Hopefully the EU version of the game (Age of Wulin) will continue going because it would be a great shame if such as potentially great game was taken from the Western market due to some poor choices by one company. But despite that sentiment, I feel that the closing of Age of Wushu NA would be a good thing. Almost like having a close friend who has been suffering greatly finally able to be free from the pain. A weird analogy, but one that fits how I currently feel about the shell-of-a-game that Age of Wushu currently is. Why do I feel that Age of Wushu NA will shut down, you might ask? Well, it seems that SnailUSA is beginning to turn their focus towards the Western mobile market. While Age of Wushu is left with a bare-bones staff and customer support that (as far as I’m aware) is still using Google Translate to communicate with players… Their mobile games seem to be thriving. Taichi Panda was a great bit of fun when I played it and their latest offering, Age of Wushu Dynasty, has proven to be a great time-waster to play before going to bed. Age of Wushu Dynasty isn’t quite Age of Wushu, but it has the same style of combat; an odd rock-paper-scissors system that, believe it or not, allows for one of the greatest and most diverse combat systems I’ve ever experienced. So far there have been thirteen issues released, meaning there’s hours upon hours of content for players to work through. There’s also been tie-in games – both Alternate Reality Games and other titles like The Park. 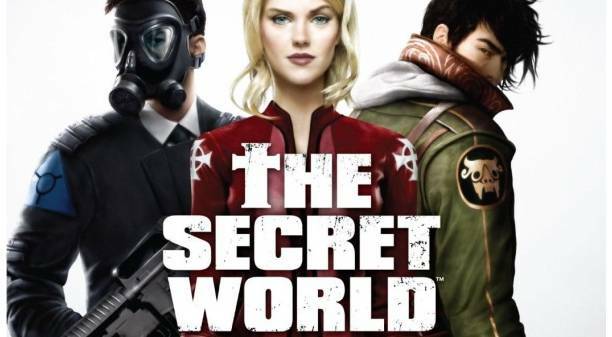 The marketing team for The Secret World has also mastered the art of strategic Steam sales. They regularly knock the price down to $10 or $20 (compared to the usual $30), often around the times that they release new questing and cash shop content. This recent sale was a huge success. They release Issue 13, put a new vehicle-sprint (the Scooter, which I love!) on the cash shop, brought down the price to a low $10, AND they put the spin-off title The Park on sale for $8 with the inclusion of an awesome costume in The Secret World for those that buy the game. Meet Chad, the scooter-riding psychopath chipmunk! …And some random guy. I feel like the past few years have just been practice and research. A slow trial-and-error process by Funcom trying to figure out the best way to revive a game and keep it alive. 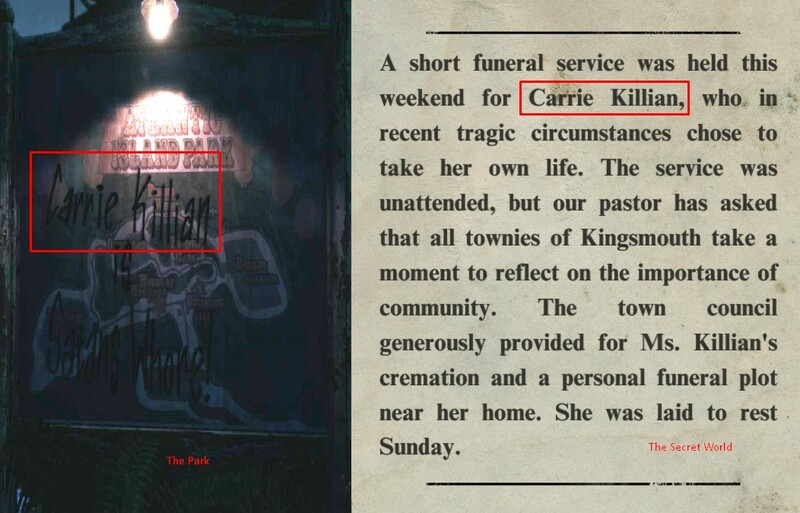 It’s almost like one of the conspiracies that you’ll find in The Secret World itself. 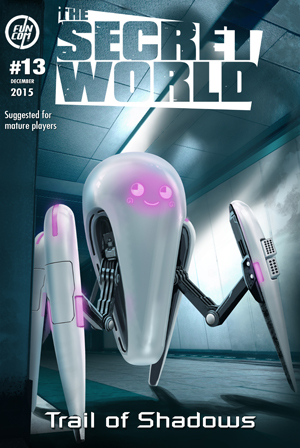 I’m almost certain that we will see BIG things coming from The Secret World in 2016. Sure, we’ll see even more Issues released that provide the signature in-depth and detailed content that we all love from the game, but I wouldn’t be surprised to see more spin-offs like The Park. Maybe even a table-top RPG DLC for Tabletop Simulator? I hope so, anyways. Though if someone takes them up on the buyout offer (Funcom is currently for sale! ), who knows what direction the future holds. This spin-off and tie-in content has the chance to be a big thing for The Secret World. But if it can find even meager success from a struggling MMO, imagine the possibilities it brings to a larger more well respected franchise? Heck Heroes of the Storm is basically the Blizzard super spin-off, with NCSoft following suit with MasterXMaster shortly after. It’s amazing being able to see references made in one game (or movie) to the lore and stories you’ve seen in another. We’ve seen Trading Card Games released for MMOs for years now. Almost a decade ago, Star Wars Galaxies had its own spin-off TCG that could be played in-game and provided neat rewards for players. World of Warcraft had this too, and now there’s Hearthstone. Heck, World of Warcraft has a major motion picture being released this year. And let’s not forget FFXIV and The Elder Scrolls Online which are themselves a spin-off of well-established and much-loved series. So I’m sure that others will follow in the footsteps of The Secret World and World of Warcraft and take their chances with tie-in and spin-off content. My predictions for 2016 seems a bit slim when compared to previous years. But, like I said, I believe that for the most part this year will be a mirror of the last: F2P games continuing to fade from memory, sandboxes finally getting the formula right to compete on par with themeparks, and buy-to-play becoming the go-to payment model embraced by western developers and publishers. 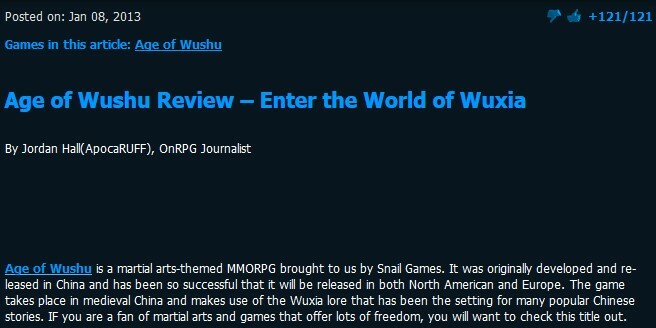 I feel that Age of Wushu NA will definitely be shut down by SnailUSA, and I’m willing to bet money that The Secret World will see a huge rise in popularity this year. And, to finish things off, I’m crossing my fingers that we’ll see some good spin-off games and content for our favorite MMOs this year. No matter how my predictions go, I’ll be back next year to review what I got right (and wrong) and to give my opinion on 2017.